You've had a passion for music your entire life. As long as you can remember you've always been dancing to the beat, and belting out words to songs you didn't know. That passion stayed with you throughout your life. The fire never died. Music is in everything you do, and you can't picture life without it. Now it's time to start planning your future. You need to "be an adult" and pick a career. After a lot of thought and conversations with friends and family, you've finally figured it out. Your career will be in music, obviously. Except, you'll be on the other side of the microphone. You don't want to be the one singing in front of thousands of fans. You want to be the mastermind behind the microphone. The one that makes sure it sounds good in the studio. 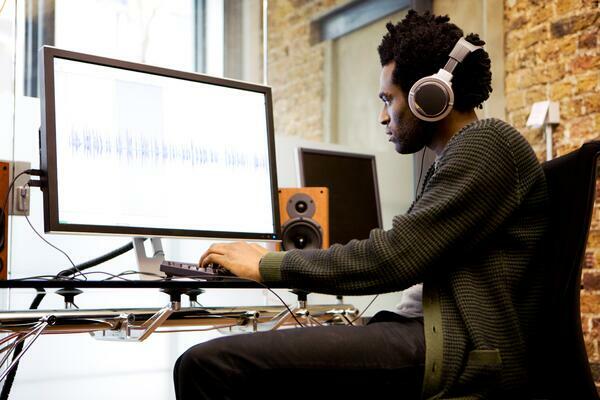 You've got your sites set on becoming a studio engineer or record producer. Admittedly, it's a pretty tough industry to crack. However, if you make it, it is an enriching career. Below are ten tips that will help you achieve your dream. Back in the old days, you could be what's called a runner in a studio and learn on the job without having a formal education. That's not true anymore. There are so many options for an education in music technology that you'd be making a mistake not to pursue it. The best courses will focus on the studio work, but will also prepare you for other parts of the industry, so take your time choosing. If possible, look for a course with an industry placement option that can get you valuable experience in the industry after your training. It's often unpaid, but the experience is priceless. Yeah, you read that right. Be prepared to work for next to nothing, or literally nothing. 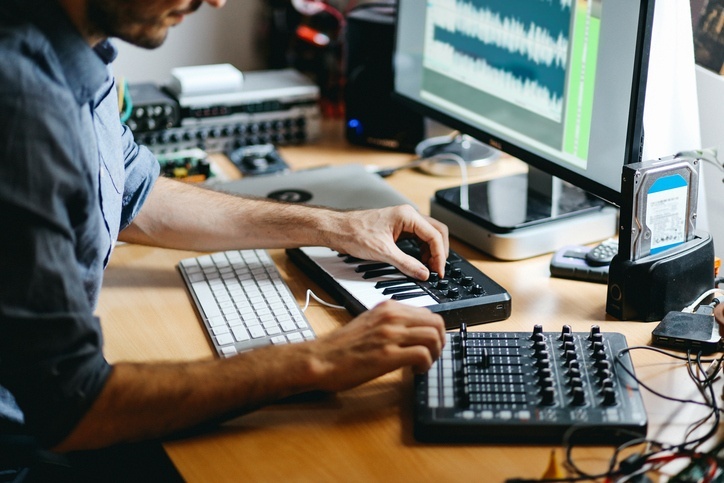 Unpaid internships are often the best way to break into industries these days, and the music industry isn't any different. Like I said earlier, you won't be getting any money for your time, but you'll be getting precious experience, and you'll start building contacts. Most of these internships last for three months, and if you work hard during them, the money will start coming in soon enough. This isn't always talked about, but a huge part in becoming a successful engineer or record producer is the ability to get along with people. Everyone from the super diva singer to the hard rock hooligans. If you can't fake a smile every once in a while making someone feel special who doesn't necessarily deserve it, while working long hours, then you might need to pass on this career. Getting along with people is huge in this industry. If you don't like people, maybe consider another career option like the MMA or something. If you think you're getting into your typical 9-5 job, you need to think again. When you take on a big project, you have to be ready for anything. Including locking yourself in the studio so long you don't even know what day it is, much less what time it is. A regular social life won't be a thing for you. Daylight will be blinding. You'll have to commit to your craft 110% and make sacrifices along the way. If you talk to any successful producers and engineers about what it takes to "make it" they'll likely bring up having a mentor. In this case, to be the best, you have to learn from the best. Every producer worth his salt has had a mentor show him the way. Sit quietly in the studio and watch them work. Learn when to speak up and ask questions. Know when to sit in silence. Getting a mentor in any industry will likely help you reach your goals. It's easy these days to set up your home studio and work from there. That's okay if it's just a hobby for you. If you want it to be a career, you need to get out of your house and into the world. A lot of recording studios will hold events, and you need to attend every one you can. Mingle with everyone. Find fellow engineers and ask them questions. Make as many contacts as you possibly can. You'd be surprised how many people get their "big break" because of a chance encounter with someone in the industry. You won't get that at your house. This is solid advice no matter what you're pursuing in life. When starting out, you need to listen much more than you speak. You need to listen to your mentor and their advice. Listen to the band, their music, and know what they want to achieve. Listen to music, lots of music. Listen to every genre and every style of music. Never stop listening. Listen to fellow engineers and producers. The most successful people in the industry are lifelong learners that never stop growing. The best way to grow is to listen. There's a huge chance you're going to start on the bottom. "How much sugar do you like in your coffee" bottom. And that's okay. There's nothing wrong with hard work and working your way up the ladder. On day one you likely aren't going to impress any musicians with your groundbreaking advice or wisdom. However, you can make them an amazing cup of coffee. This seems like common sense, but you need to know your gear. You need to be a master at the tools you use in your craft. Every carpenter can pull any tool out of his toolbox and immediately go to work. Knowing how to use that one piece of equipment that no one else does makes you extremely valuable. Want to be even more valuable? Learn how to fix the gear when it breaks. If you're the guy that can fix a piece of equipment that breaks at 2:00 AM during a marathon studio session, you will always have a job. We've pained a pretty dim picture of the industry so far. Long hours, no pay, difficult people, and being a glorified coffee maker. If you're still interested in the job, you have to commit. You have to give 100% of yourself to your job and the industry. Eat, sleep, drink, and breathe the industry. Your significant other will be whoever is in the studio with you. If you're ready to pursue your dreams, The Atlanta Institute of Music And Media is a great launching pad. To check out our recording certificate or recording degree, click the button below.